This weekend is THE BIG FLEA!! It is in Chantilly, VA outside of Washington, DC. BFF Beth and I will be there on Saturday bright and early!! It is in two buildings, 1000+ vendors and air conditioned!! We will try to get some pictures of all the fun for future blog postings. Wish you all could come too! 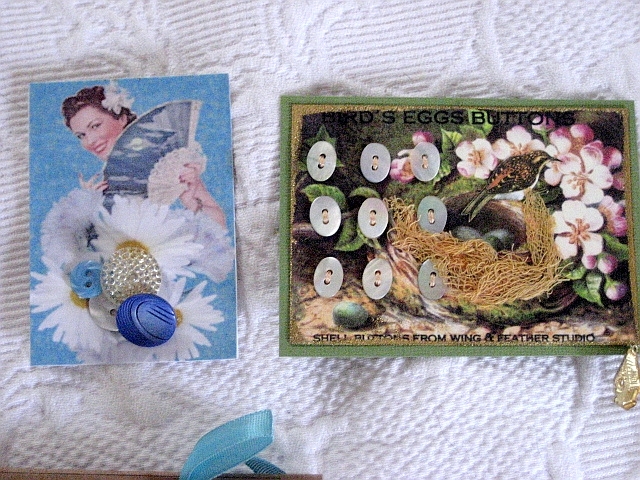 Yesterday I received my button cards from the swap over at Speckled Egg. Aren’t they sweet!! I want to thank all the ladies that participated and especially the creators of these cute cards! 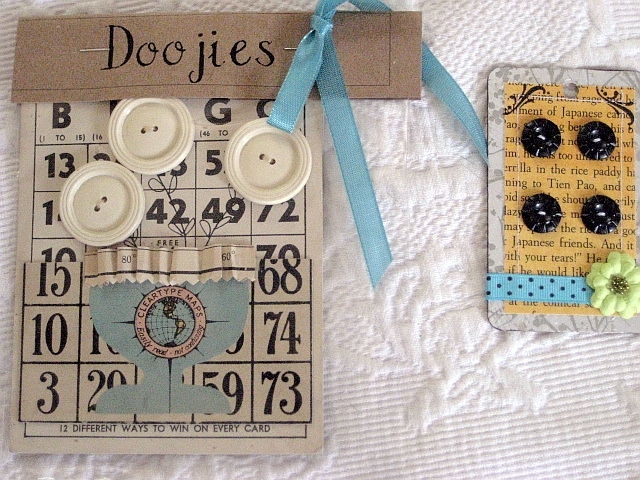 If you remember, I posted pictures of the cards that I sent in for the swap here. Oh crap, I’m late for work. Got to run and hit the road, but I’ll be blogging from Washington, DC this weekend. Everyone have a great weekend! im so jealous! i would love to go to this. you’ll have to share all your finds.